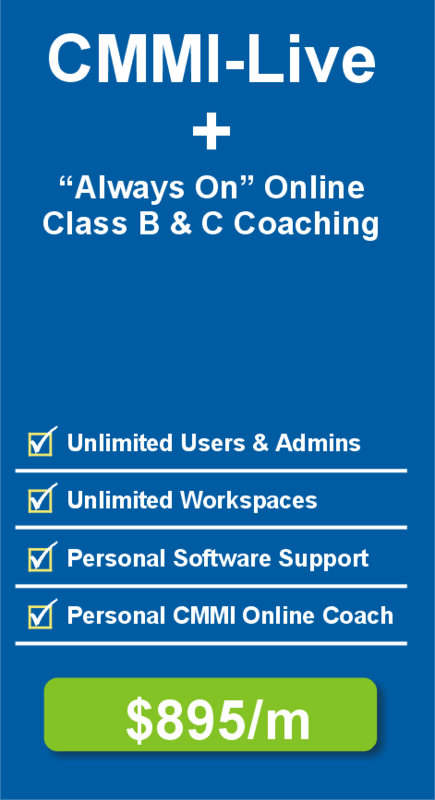 Choose the CMMI-Live Plan That is Right for You! 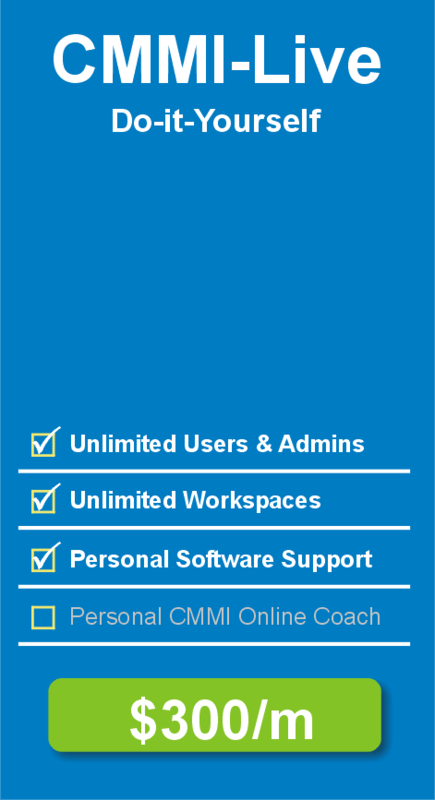 CMMI-Live is a private online platform that you, your employees and invited consultants can use to rapidly address the requirements of the CMMI framework. 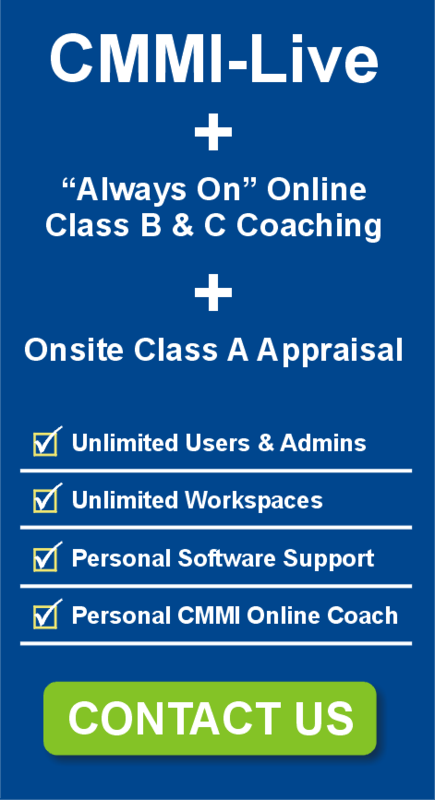 CMMI-Live works by creating one online workspace for every CMMI requirement. You then invite your employees into the workspaces related to the work that they perform. You will find that it is much easier to “eat the elephant” one bite at a time when everyone is simultaneously taking bites. Also, be sure to invite your internal CMMI experts and external CMMI Consultants into your private CMMI-Live account. They can help you assess the progress of each requirements-team and offer ongoing, online and “always on” guidance, feedback and support ~ and, without the need for face-to-face meetings, phone calls or emails.